Google is seeking volunteers who want to get paid to browse the Web. The catch? 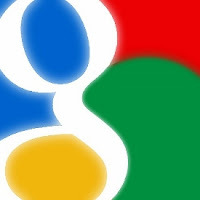 Google will track all the sites you visit. The Web giant quietly launched a new program, called Screenwise, in which users are being offered up to $25 in gift cards to share with Google the Web sites they visit and how they use them. Google is building a panel of participants to "learn more about how everyday people use the Internet," the company said on its sign-up page. Participants install a Web browser extension that shares all their browsing activities with Google. In exchange for revealing such information, participants are given a $5 Amazon.com gift card upon signing up, then another gift card every three months while in the program, until they earn a maximum of $25. Amazon.com is not a sponsor of the promotion, Google said. "What we learn from you, and others like you, will help us improve Google products and services and make a better online experience for everyone," the company said. In a statement sent to PCMag on Wednesday, a Google spokeswoman said the program is completely optional. Individuals can participate as long as they want, and leave at any time. "Like many other Web and media companies, we do panel research to help better serve our users by learning more about people's media use, on the Web and elsewhere," the spokeswoman said. "This panel is one such small project that started near the beginning of the year… Everyone who does participate has complete transparency and control over what Internet use is being included in the panel." Those who are interested in participating can enter their email address at Google's sign-up page. To be eligible, users must be at least 13 years old, have a Google Account, and use the Google Chrome Web browser. Google said it will not save users' email addresses or associate them with any other personally identifiable information. The Electronic Privacy Information Center on Wednesday sued to stop the forthcoming changes. Google has repeatedly defended the update, however, arguing that critics are simply spreading "misconceptions."